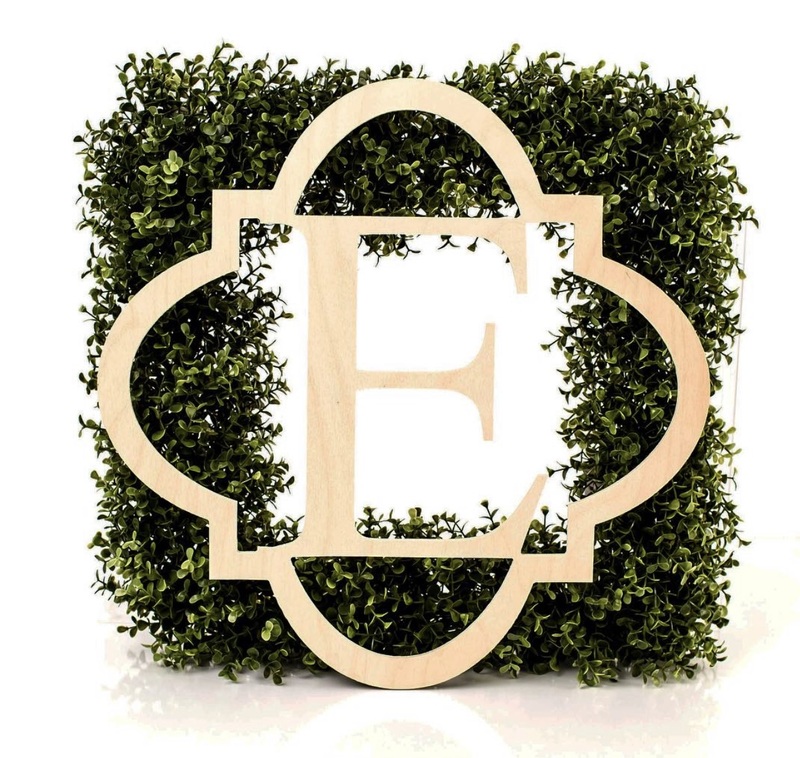 New 18 Inch Quatrefoil Single Initial Monograms are a modern take on our classic wood monograms. Love these paired with a wreath on your front door or incorporated into a bookcase vignette. They also make particularly thoughtful gifts for housewarmings, newlyweds,new babies and graduations. Each Single Initial is custom made to order of 1/4 inch thick baltic birch and arrives unfinished so you may paint to match your decor. Please indicate your choice of Single Initial below. As all Monograms are custom made to order especially for you, they are not returnable. Please allow 2-3 weeks for delivery. Click Here to View all Classic Wood Monograms and Wreaths.